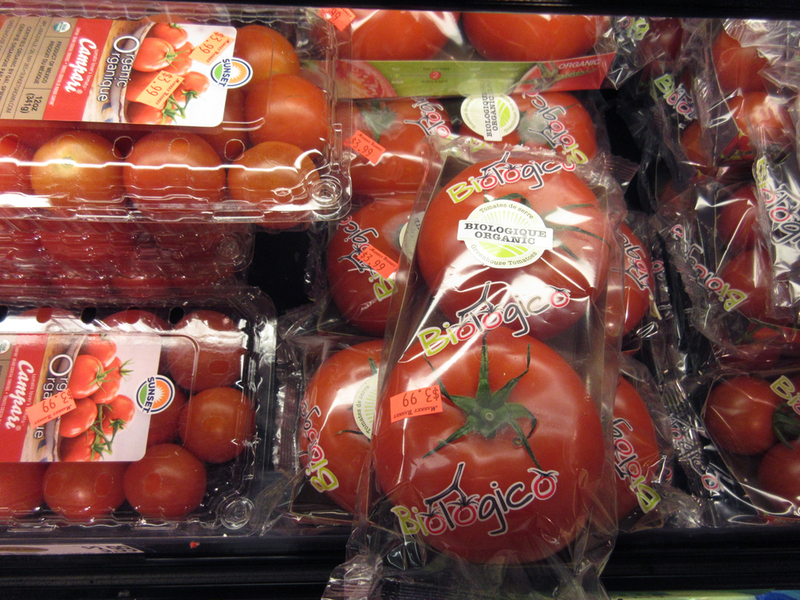 Did you know: Organic produce is packaged in many times more plastic than conventional produce? Yet, the consumers who are probably most aware of this dire situation—those making the effort and paying a premium to have a less-polluting, more organic/natural lifestyle—are the ones having to consume the most plastic when purchasing their food. 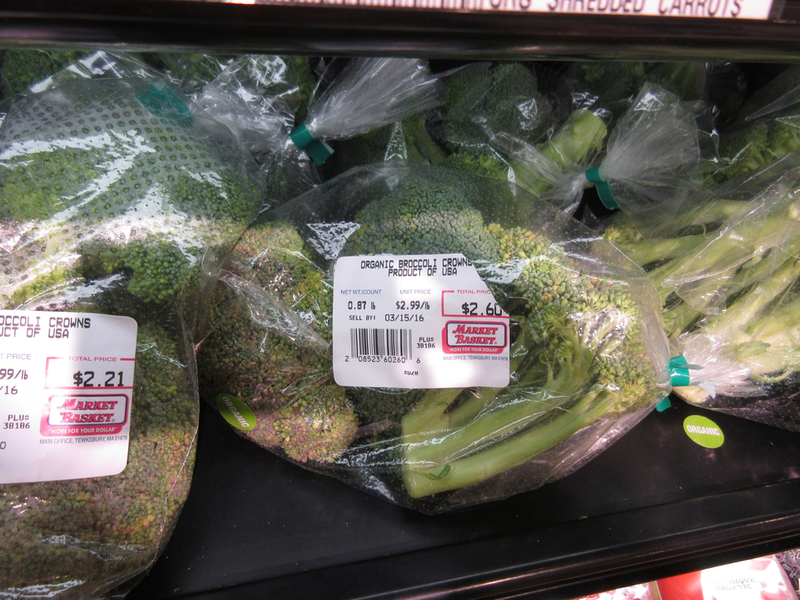 The labelling, transportation, traceability and shelf constraints imposed on organic produce, even more than regular produce, results in fruits and vegetables needing to carry labels and protection against the elements and fraud. This function is important, as it allows trust to build between organic producers, distributors and consumers. However, most of the current materials used in organic packaging (polystyrene foam, polyethylene, aluminum, etc. are environmentally destructive. 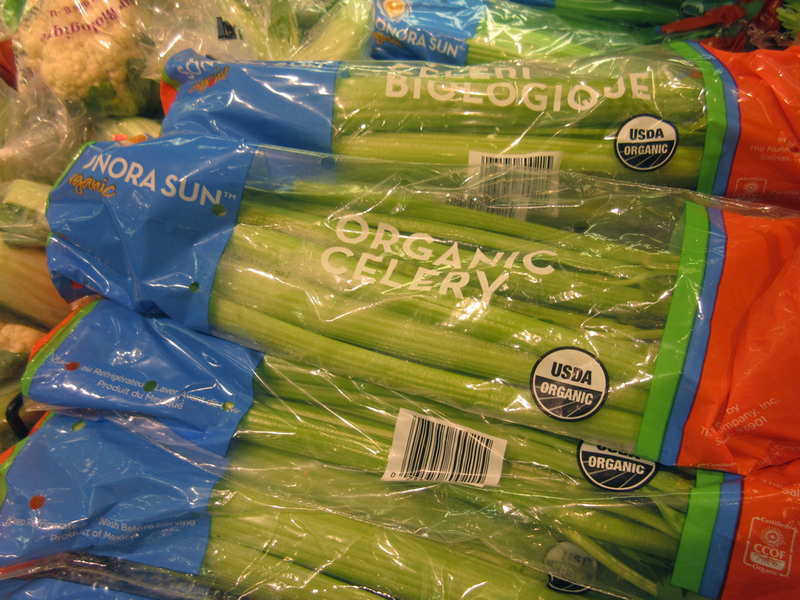 Beyond a certain scale, organic producers use packaging machines which have been designed to use specific types of plastic elastic bands/labels/meshes, etc., and have little leverage to change the status quo. So, how can we act? 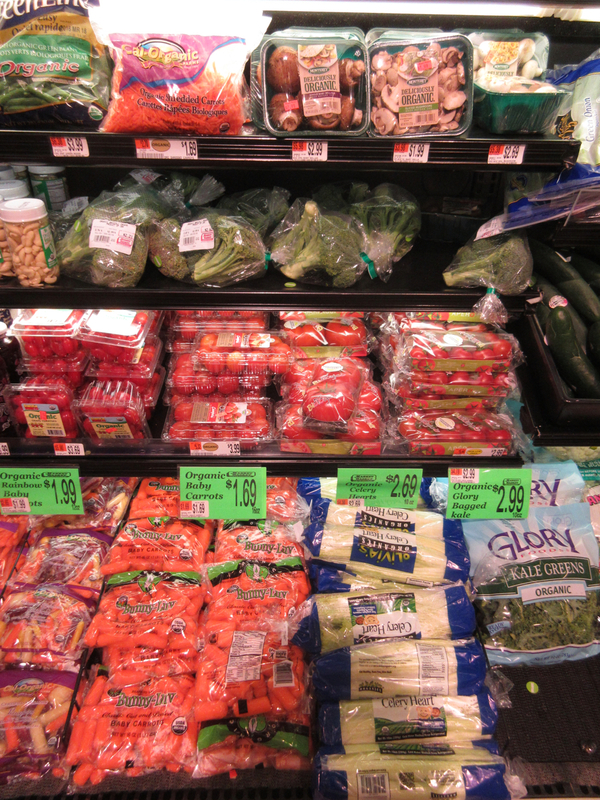 Faune Stevens, author of The Bare Necessities blog, created the "Ban the use of plastic packaging for organic produce" petition to concentrate efforts to get rid of extraneous plastic packaging of organic produce and to phase it out. The petition asks the organics industry to invest in truly compostable materials, and targets national organic produce policymakers. 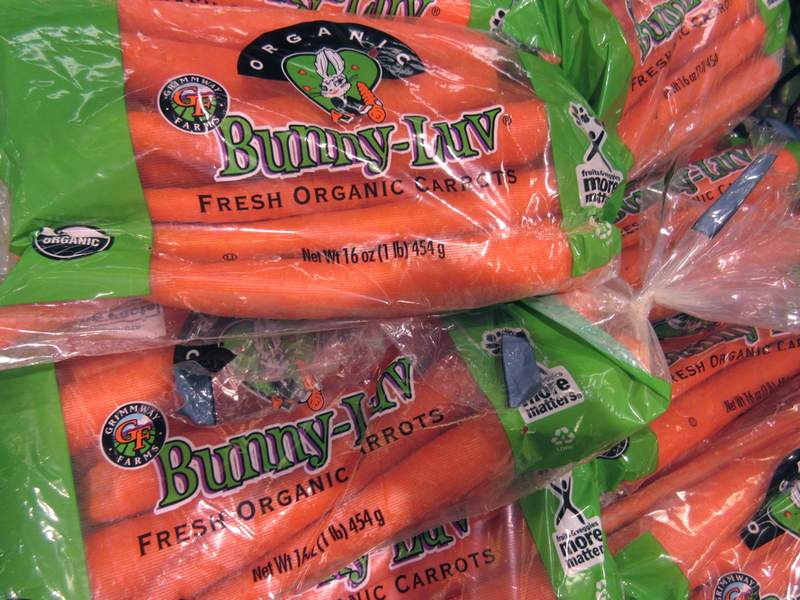 In the United States, the production and handling of organic produce is regulated by the Department of Agriculture's National Organic Program. This program follows the directions defined by the NOSB (National Organic Standards Board). The ongoing petition effort is pushing for more signatures before April 14. See the petition for latest updates. Stevens is the founder of Studio Habeas Corpus, a research and design studio advocating for gentler materiality in the everyday things we use. Remember that plastic never goes away. It spoils our groundwater, attracts other pollutants, and piles up in the environment. It poisons our food chain, affects human health, and threatens wildlife. And plastic costs billions to abate. Older PostWant to Lose a Few Pounds — of Trash?